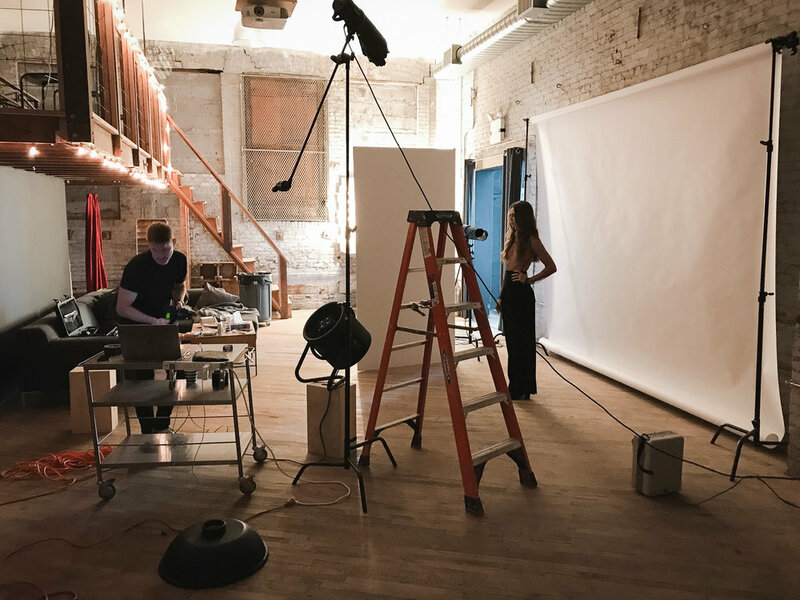 Studio Two is the perfect location for smaller productions where you're shooting portraits, model tests, look books or fashion catalog work. The space features 16' ceilings which make it perfect for set builds or other projects that require ample ceiling height. Along with the original exposed brick walls and finished hardwood floors, Studio 2 also features a balcony lounge area which is the perfect location for your clients, or others in your production, to hang out while shooting. Load your gear in using the elevator or our industrial-grade electric conveyer belt on the side stairs. Enjoy access to our communal pantry for complementary coffee and refreshments.